The Symphony No. 9 in D minor, Op. 125 is the final complete symphony of Ludwig van Beethoven. Completed in 1824, the symphony is one of the best known works of the Western classical repertoire, and has been adapted for use as the European Anthem. It is considered by critics to be one of Beethoven's masterpieces and one of the greatest musical compositions ever written. The symphony was the first example of a major composer using voices in a symphony (thus making it a choral symphony). The words are sung during the final movement by four vocal soloists and a chorus. They were taken from the "Ode to Joy", a poem written by Friedrich Schiller in 1785 and revised in 1803, with additions made by the composer. The Symphony No. 9, with accompanying chorus, is traditionally performed throughout Japan during its New Year's celebrations. In December 2009, for example, there were 55 performances of the symphony by various major orchestras and choirs in Japan. The Ninth was introduced to Japan by German prisoners-of-war held in Japan during World War I. Japanese orchestras, notably the NHK Symphony Orchestra, began performing the symphony in 1925. During World War II, the Imperial government promoted performances of the symphony, including on New Year's Eve, to encourage allegiance to Japanese nationalism. The symphony was considered appropriate in this regard because Germany was an ally of Japan. After the war, orchestras and choruses, undergoing economic hard times during the reconstruction of Japan, promoted performances of the piece around New Years because of the popularity of the music with the public. 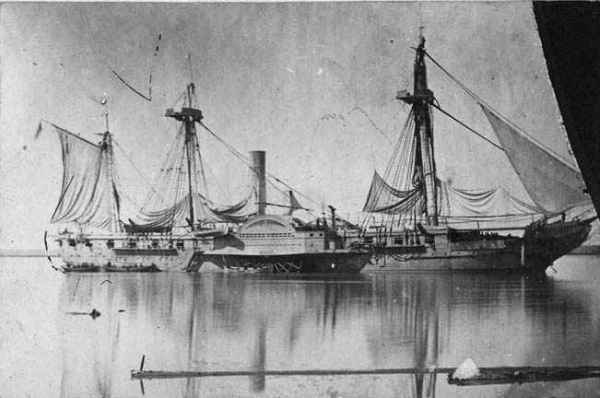 1853 Countdown to Infamy: From The Ilustrated London News: The United States Expedition to Japan. 1906 Vienna days: 17-year-old Adolf Hitler sends two postcards from Vienna, which he is visiting for the first time, back home to his best friend in Linz, Austria, August Kubizek, whom he calls Gustl. 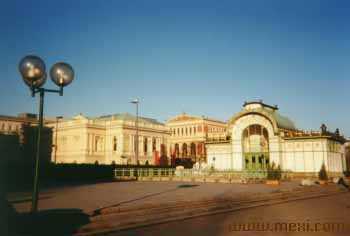 The first is of the Karlsplatz, centered on the Karlskirche. In sending you this postcard I must apologize for not writing to you for such a long time. 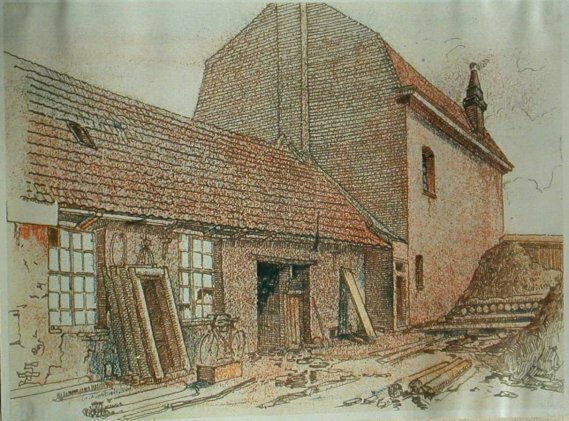 I arrived safely, and I have been moving around industriously. Tomorrow I shall see Tristan at the Opera, and on the following day The Flying Dutchman, etc. Although I find everything very beautiful here, I am longing for Linz. Tonight, Stadt-Theatre. Greetings from your friend. 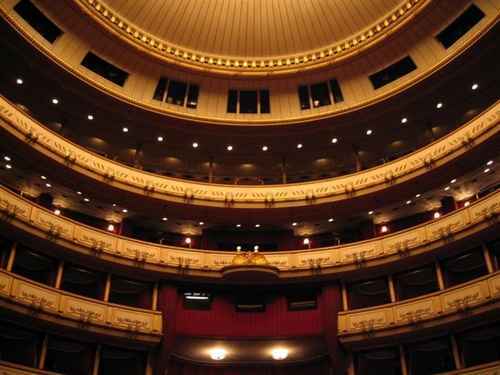 The second is of the interior of the Vienna Opera House. On the afternoon of May 7, 1915, the British ocean liner Lusitania is torpedoed without warning by a German submarine off the south coast of Ireland. Within 20 minutes, the vessel sank into the Celtic Sea. Of 1,959 passengers and crew, 1,198 people were drowned, including 128 Americans. The attack aroused considerable indignation in the United States, but Germany defended the action, noting that it had issued warnings of its intent to attack all ships, neutral or otherwise, that entered the war zone around Britain . . . . It was revealed that the Lusitania was carrying about 173 tons of war munitions for Britain, which the Germans cited as further justification for the attack. The United States eventually sent three notes to Berlin protesting the action, and Germany apologized and pledged to end unrestricted submarine warfare. 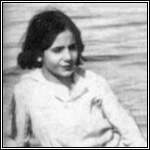 In November, however, a U-boat sunk an Italian liner without warning, killing 272 people, including 27 Americans. Public opinion in the United States began to turn irrevocably against Germany. Treaty of Bucharest signed by Romania with Germany and Austria-Hungary: The treaty will be nullified in November when the Central Powers collapse. 1920 The Kiev Offensive (or Operation)—sometimes considered to have started the Soviet-Polish War—was an attempt by the newly re-emerged Poland, led by Jozef Pilsudski, to seize central and eastern Ukraine—torn in the warring among various factions, both domestic and foreign—from Soviet control. On 27th July, 1936, Adolf Hitler sent the Nationalists 26 German fighter aircraft. He also sent 30 Junkers 52s . . . . The fighter aircraft soon went into action and the Germans suffered their first losses . . . on 15th August. In September 1936, Lieutenant Colonel Walther Warlimont of the German General Staff arrived as the German commander and military adviser to General Francisco Franco. 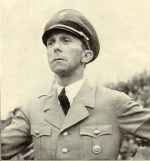 The following month Warlimont suggested that a German Condor Legion should be formed to fight in the Spanish Civil War. The initial force consisted a Bomber Group of three squadrons of Ju-52 bombers; a Fighter Group with three squadrons of He-51 fighters; a Reconnaissance Group with two squadrons of He-99 and He-70 reconnaissance bombers; and a Seaplane Squadron of He-59 and He-60 floatplanes. Adolf Hitler hoped this would not be necessary as General Francisco Franco claimed he was on the verge of victory. This prediction proved to be wrong and in November the International Brigades and aircraft and tanks from the Soviet Union began arriving in Madrid. 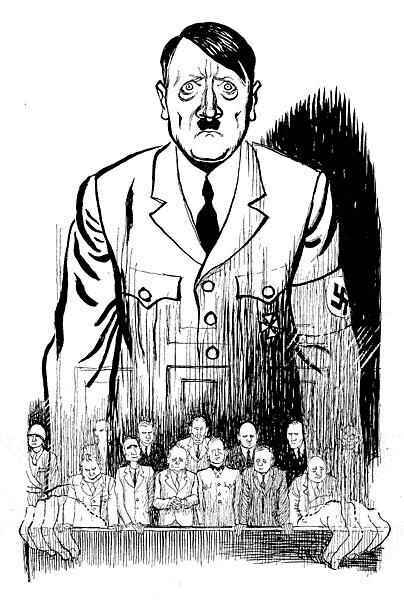 Hitler now gave permission for the formation of the Condor Legion. The initial force consisted a Bomber Group of three squadrons of Ju-52 bombers; a Fighter Group with three squadrons of He-51 fighters; a Reconnaissance Group with two squadrons of He-99 and He-70 reconnaissance bombers; and a Seaplane Squadron of He-59 and He-60 floatplanes. 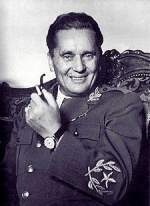 The Condor Legion, under the command of General Hugo Sperrle, was an autonomous unit responsible only to Franco. The legion would eventually total nearly 12,000 men. Sperrle demanded higher performance aircraft from Germany [which] he eventually received . . . . It participated in all the major engagements . . . . The Condor Legion was initially equipped with around 100 aircraft and 5,136 men. Sperrle demanded higher performance aircraft from Germany and . . . . In the Asturias campaign in September 1937, Adolf Galland experimented with new bombing tactics. This became known as carpet bombing (dropping all bombs on the enemy from every aircraft at one time for maximum damage). German aircraft dropped 16,953,700 kilos of bombs during the war and air units expended 4,327,949 rounds of machine-gun ammunition. A total of 19,000 Germans served in the Spanish Civil War. Of these, 298 were lost, with 173 being killed by the enemy. This included 102 aircrew, 27 fighter pilots and 21 anti-aircraft crew. A large number were killed in accidents and others died of illness. The Condor Legion lost 72 aircraft to enemy action. Another 160 were lost in flying accidents. Neville Chamberlain was born into a famous political family. He was the son of Joseph Chamberlain and his half-brother was Austen. All three were to make their mark in politics . . . . in 1897, Chamberlain became involved in local politics and in 1915 he was elected Lord Mayor of Birmingham, arguably England's second city . . . . In 1918, Chamberlain became the Member of Parliament for Ladywood in Birmingham. He held this constituency until 1929 when he was elected MP for Edgbaston, also in Birmingham. Chamberlain was MP for Edgbaston until his death in 1940. Chamberlain . . . . was appointed Chancellor of the Exchequer [and] held this position from November 1931 to May 1937. In this position, he enhanced his reputation as an efficient administrator and it surprised very few when he became Prime Minister on May 28th, 1937. Chamberlain was suddenly thrust into a position which required him to be involved in European politics. He had no experience in foreign affairs and frequently took the advice of one of his advisors, Sir Horace Wilson, as opposed to the advice of the Foreign Office. In the late 1930's, Chamberlain is most associated with the policy of appeasement. Polls from the time show that many people in Britain supported what Chamberlain was trying to achieve. 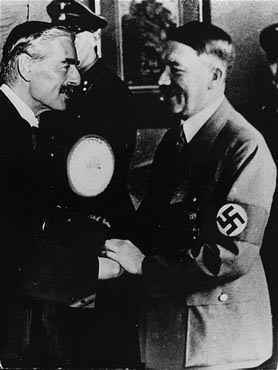 It was only after the failure of appeasement that Chamberlain's decisions and career acquired a more negative image . . . .
On 2 September 1939, Prime Minister Neville Chamberlain declared in a debate in the House of Commons that he was not going to declare war on Germany, even though the invasion of Poland the day before had made a clear statement about Hitler's intentions towards Europe. Deputy Labour Party leader Arthur Greenwood rose to speak in reply, and initially announced that he would be speaking for the Labour Party in response to the prime minister's statement. But before Greenword could say another word, a voice called out from the Conservative Party benches, Speak for England, Arthur! —and it would not be an exaggeration to say that that furious outburst from prominent Conservative MP Leo Amery marked the beginning of the end for Chamberlain's government. It was the abject failure of the British military in Norway that ended Chamberlain's time as Prime Minister. Many in Parliament saw that he would not be an inspirational war leader and many politicians refused to serve in his proposed National Government. According to William L. Shirer (The Rise and Fall of the Third Reich) the rôles were now reversed. The unanimity of the disgust of Parliament was shown in the shout from the members of opposing parties to each other on the two occasions. This time, as Leo Amery rose to criticize his leader, Arthur Greenwood shouted Speak for England! The Right Hon. Gentleman, the Prime Minister . . . in a digression explained why he used a certain unlucky phrase about Hitler missing the bus. He explained that what he meant was that during these eight months of war Hitler had lost the opportunity which he had at the beginning of the war because we had been catching up on Germany's preparations. Believe me, that is very far from the truth. While we may catch up on her presently if only we do what we ought to, there is no doubt that during these eight months, thanks to Germany's flying start and our slowness off the mark, the gap between the German forces and ours has widened enormously as far as troops, their equipment, tanks, guns and all the paraphernalia of land war are concerned . . . . I have quoted certain words of Oliver Cromwell. I will quote certain other words. I do it with great reluctance, because I am speaking of those who are old friends and associates of mine, but they are words which, I think, are applicable to the present situation. This is what Cromwell said to the Long Parliament when he thought it was no longer fit to conduct the affairs of the nation: You have sat too long here for any good you have been doing. Depart, I say, and let us have done with you. In the name of God, go.! 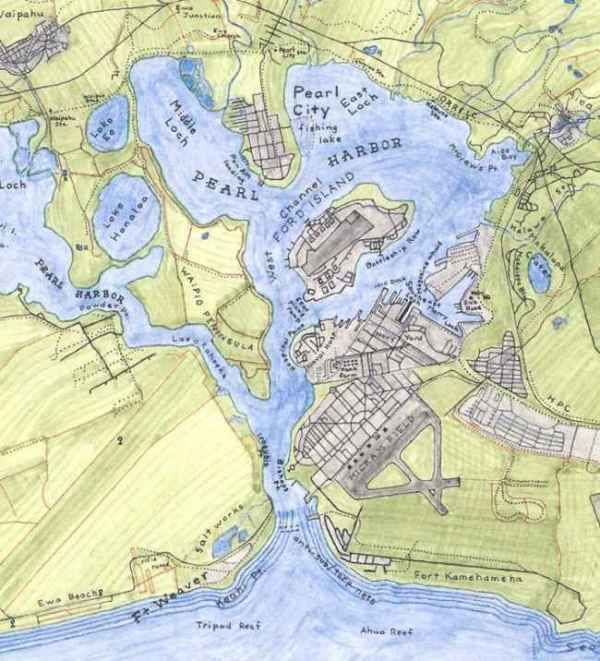 Countdown to Infamy: The US fleet moves its headquarters from San Pedro, California, to Pearl Harbor. 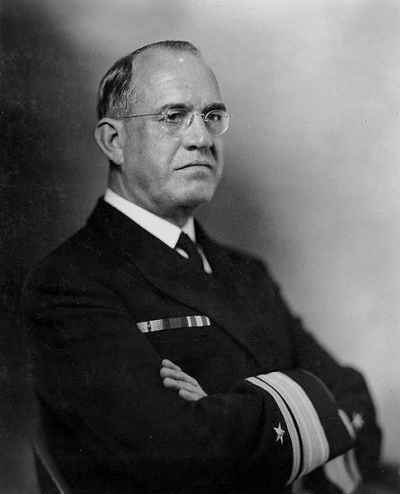 Admiral James Otto Richardson, Commander in Chief of the Pacific Fleet, is opposed to the redeployment, telling FDR that defending a perimeter so far removed is not a realistic option. Roosevelt replies, "Jim, you just don't get it." Note: In February, 1941, Richardson will be replaced by Husband E. Kimmel. Assume you were the leader of the greatest nation in the world, and assume that you saw, in another hemisphere, the development of a power which you regarded, with reasonable support, as a total threat to Western Civilization as you knew it. Supposing, however, that for various reasons your conception of the danger was not shared by your constituents, your own people. And you saw the total destruction of Western civilization in the hands of this adversary, and you detected in your own people, at the time, on the basis of everything they knew, a lack of appreciation of the problem. Assume that you saw that the only salvation of Western civilization was to repel that particular power but that that required you to enter a foreign war for which your people were not psychologically or militarily prepared. Enclosed you will find two copies of two memoranda which will be presented by our Legations in The Hague, Brussels, and Luxemburg to the Governments there on the day and hour to be indicated to you orally by the courier. [Interlinear penciled notation: May 10, 1940, 5:45 a. m., German summer time.] Until the demarche ordered below has been accomplished, the memoranda and these instructions are to be kept strictly secret and not mentioned even to any member of the Embassy. I request that after receipt of these instructions you enter on the copies of the attached memoranda-on the last page, beneath the text, the date of the day before that on which you deliver the copies to the Government in Moscow, preferably with typewriter, or else in ink. About 7 o'clock in the morning, German summer time, on the day mentioned to you by the courier, I request that you ask for an appointment with Molotov and then, in the course of the morning at the earliest hour convenient to him, hand him a copy of the memoranda. I request that you tell Herr Molotov that the Reich Government, in view of our friendly relations, is anxious to notify the Soviet Government of these operations in the West, which were forced upon Germany by the impending Anglo-French push on the Ruhr region by way of Belgium and Holland. For the rest, I request that you use the viewpoints and arguments to be found in the memoranda themselves. I request that you report by wire immediately concerning the reception accorded your mission. World War II: Battle of the Coral Sea: "Scratch one flattop" is the triumphant message radioed back to US HQ after the destruction of a Japanese aircraft carrier. North Africa: Allied forces liberate Tunis and Bizerte. Sevastopol: Soviet assault opens in the Crimea. With this signature the German people and the German Armed Forces are, for better or worse, delivered into the hands of the victors . . . . In this hour I can only express the hope that the victor will treat them with generosity. 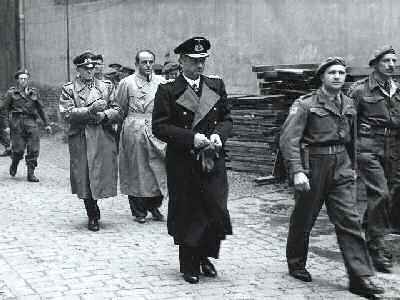 At first, General Jodl hoped to limit the terms of German surrender to only those forces still fighting the Western Allies. But General Dwight Eisenhower demanded complete surrender of all German forces, those fighting in the East as well as in the West. If this demand was not met, Eisenhower was prepared to seal off the Western front, preventing Germans from fleeing to the West in order to surrender, thereby leaving them in the hands of the enveloping Soviet forces. Jodl radioed Grand Admiral Karl Doenitz, Hitler's successor, with the terms. Doenitz ordered him to sign. 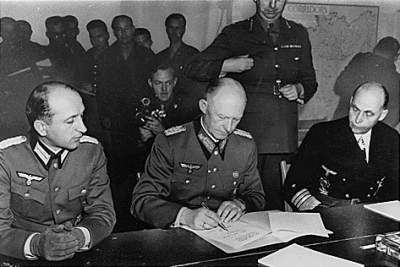 So with Russian General Ivan Susloparov and French General Francois Sevez signing as witnesses, and General Walter Bedell Smith, Ike's chief of staff, signing for the Allied Expeditionary Force, Germany was—at least on paper—defeated. Fighting would still go on in the East for almost another day. But the war in the West was over. 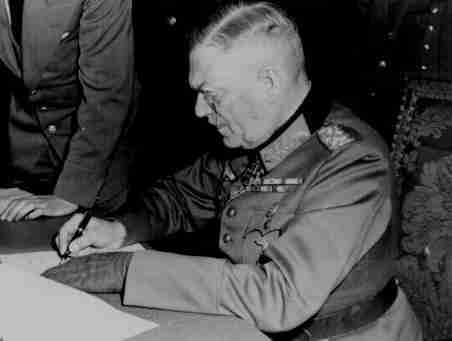 World War II: The Allies formally accept the unconditional surrender of Nazi Germany twice this day, as General Wilhelm Keitel signs an unconditional surrender in Berlin as well. I can say that I was a soldier by inclination and conviction. For more than 44 years without interruption I served my country and my people as a soldier, and I tried to do my best in the service of my profession. I believed that I should do this as a matter of duty, laboring unceasingly and giving myself completely to those tasks which fell to me in my many and diverse positions. I did this with the same devotion under the Kaiser, under President Ebert, under Field Marshal Von Hindenburg, and under the Fuehrer, Adolf Hitler . . . .
As a German officer, I naturally consider it my duty to answer for what I have done, even if it should have been wrong. I am grateful that I am being given the opportunity to give an account here and before the German people of what I was and my participation in the events which have taken place. It will not always be possible to separate clearly guilt and entanglement in the threads of destiny. But I do consider one thing impossible, that the men in the front lines and the leaders and the subleaders at the front should be charged with the guilt, while the highest leaders reject responsibility. That, in my opinion, is wrong, and I consider it unworthy. I am convinced that the large mass of our brave soldiers were really decent, and that wherever they overstepped the bounds of acceptable behavior, our soldiers acted in good faith, believing in military necessity, and the orders which they received. I am, in receipt of your message of May 7 about announcing Germany's surrender. The Supreme Command of the Red Army is not sure that the order of the German High Command on unconditional surrender will be executed by the German armies on the Eastern Front. We fear, therefore, that if the Government of the USSR announces today the surrender of Germany we may find ourselves in an awkward position and mislead the Soviet public. It should be borne in mind that the German resistance on the Eastern Front is not slackening but, judging by intercepted radio messages, a considerable grouping of German troops have explicitly declared their intention to continue the resistance and to disobey Doenitz's surrender order. For this reason the Command of the Soviet troops would like to wait until the German surrender takes effect and to postpone the Government's announcement of the surrender till May 9, 7 PM Moscow Time." Mr. Dodd: Well, do you recall the testimony of the witness Hoess in this courtroom not so long ago? You remember the man? He sat where you are sitting now. He said that he exterminated between 21/2 and 3 million Jews and other people at Auschwitz. Now, before I ask you the next question I want you to recall that testimony and I will point something out for you about it that may help you. You recall that he said that Himmler sent for him in June 1941, and that Himmler told him that the final solution of the Jewish problem was at hand, and that he was to conduct these exterminations. Do you recall that he went back and looked over the facilities in one camp in Poland and found it was not big enough to kill the number of people involved and he had to construct gas chambers that would hold 2,000 people at a time, and so his extermination program could not have got under way until pretty late in 1941, and you observe that your assistant and credible friend Puhl says it was in 1942 that these shipments began to arrive from the SS? Funk: No, I know nothing about the date. I do not know when these things happened. I had nothing to do with them. It is all news to me that the Reichsbank was concerned with these things to this extent. Mr. Dodd: Then I take it you want to stand on an absolute denial that at any time you had any knowledge of any kind about these transactions with the SS or their relationship to the victims of the concentration camps. After seeing this film, after hearing Puhl's affidavit, you absolutely deny any knowledge at all? Funk: Only as far as I have mentioned it here. Mr. Dodd: I understand that; there was some deposit of gold made once, but no more than that. That is your statement. Let me ask you something, Mr. Funk . . . .
Funk: Yes; that these things happened consistently is all news to me. Mr. Dodd: All right. You know you did on one occasion at least, and possibly two, break down and weep when you were being interrogated, you recall, and you did say you were a guilty many and you gave an explanation of that yesterday. You remember those tears. I am just asking you now; I am sure you do. I am just trying to establish the basis here for another question. You remember that happened? Mr. Dodd: And you said, "I am a guilty man." You told us yesterday it was because you were upset a little bit in the general situation. I am suggesting to you that is it not a fact that this matter that we have been talking about since yesterday has been on your conscience all the time and that was really what is on your mind, and it has been a shadow on you ever since you have been in custody? And is it not about time that you told the whole story? In northwest Vietnam, Ho Chi Minh's Viet Minh forces decisively defeat the French at Dien Bien Phu, a French stronghold besieged by the Vietnamese communists for 57 days. The Viet Minh victory at Dien Bien Phu signaled the end of French colonial influence in Indochina and cleared the way for the division of Vietnam along the 17th parallel at the conference of Geneva. . . . .
Leonid Brezhnev, one of Soviet leader Nikita Khrushchev's most trusted proteges, is selected as Chairman of the Presidium of the Supreme Soviet—the Soviet equivalent to the presidency. This was another important step in Brezhnev's rise to power in Russia, a rise that he later capped by taking control of the Soviet Union in 1964. Brezhnev had been a trusted associate of Khrushchev since the 1940s. As Khrushchev rose through the ranks, so did his protege. After Stalin's death in 1953, Khrushchev rapidly consolidated his power and succeeded in becoming First Secretary of the Communist Party of the Soviet Union. This position had always been the real seat of power in the Soviet Union—the first secretary was able to control the vast Communist Party apparatus throughout the Soviet Union. The position of president (or, more formally, the Chairman of the Presidium of the Supreme Soviet) was largely symbolic. The president often greeted foreign visitors and handled more mundane government matters, but policymaking always rested with the first secretary. In May 1960, Khrushchev named Brezhnev to the position of president. While the post meant little in the way of real power, it did allow Brezhnev to come into contact with numerous foreign dignitaries and visitors and to travel the world as a representative of the Soviet government. He made the most of these opportunities and was soon viewed as an efficient and effective official in his own right, not simply a puppet of Khrushchev.